Most Athletes and Coach’s are familiar with the 10 general physical attributes of elite fitness. First defined by Jim Crawley and Bruce Evans, the 10 skills were introduced to the CrossFit Community by Coach Greg Glassman in the foundational CrossFit Journal Article, “What Is Fitness“. In addition to the significance of learning and understanding the physical skills comprising the Sport of Fitness, we must also take into consideration that each of the 10 general physical skills pertain to a mental, emotional, character and “Leader-Fit” trait. What is most exciting to consider about the development of these skills is our ability to constantly refine, enhance and improve our mental capacity in them over a lifetime. 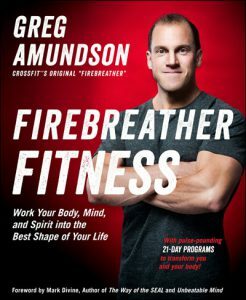 At Firebreather Fitness, we consider the development of the mental skills to be a personal journey on the path to elite leadership. Whether you lead Soldiers in combat or lead yourself in a small garage gym, your ability to understand and apply these mental attributes will greatly enhance your life experience. For more information on the application of the 10 Mental Attributes of Elite Leadership, we encourage you to read “Forging Elite Leadership” by Greg Amundson, published in the CrossFit Journal on April 18, 2011. Endurance: The ability to maintain belief in self and others. Stamina: The ability to create and maintain intense mental effort, focus and resilience. Strength: The ability to maintain resolve of decision. Flexibility: (1) The ability to independtely choose an emotional reaction to a wide range of external circumstances. (2) The ability to apply versatile methods to the accomplishment of a fixed goal. Power: (1) The ability to encourage self and others in the pursuit of a worthy goal. (2) The ability to immediately generate an intense state of motivation and positive expectancy. Speed: The ability to make immediate command decisions in the face of opposition, challenge and uncertainty. Coordination: The ability to invoke the most productive emotional response at a given time and place. Agility: (1) The ability to support the needs of others while ensuring personal goals and challenges are fulfilled. (2) The ability to respond to envoirnment and cirsumstance with deliberate attitudes and beliefs so as to achieve a desired end state. Balance: (1) The ability to maintain individual physical, mental and emotional wellness. (2) The ability to maintain a state of mind or attitude regardless of external stimuli. Accuracy: (1) The ability to set and achieve specific goals. (2) The ability to listen and correctly identify internal thoughts, emotions and energies.